It’s no secret that IT Cosmetics is one of my all-time favorite brands. They’re one of the first highend brands I tried out when I started getting into makeup, and they’ve continued to impress me with the quality of their products. A few years ago I shared my Top 10 IT Cosmetics products and that post has continued to get a lot of love and traffic since then, but IT Cosmetics has been releasing a lot of awesome products since I shared those picks. And while all 10 of those products I mentioned are still fantastic…I have discovered new favorites! So I figured it was well overdue to do an updated Top favorites from IT Cosmetics! I’ve always eyed the No7 makeup when browsing the beauty isles in Target and Ulta, but never took the plunge to try any of them. I never hear anyone talk about them, and that made me nervous since the prices are mid-range. No7 actually sent me a variety of products from their brand several months ago and I’ve been testing them out. Ready to hear if this brand is worth checking out? Let’s dive right in! Pixi by Petra is a brand I don’t have a lot of experience with, and mostly just because I don’t shop at Target often. But earlier this year I was thrilled to be asked to join their PR list and since then they’ve been sending me products periodically. I have been able to try out several products from their line and think it’s past time that I share my thoughts — both the good and the bad — with you all! 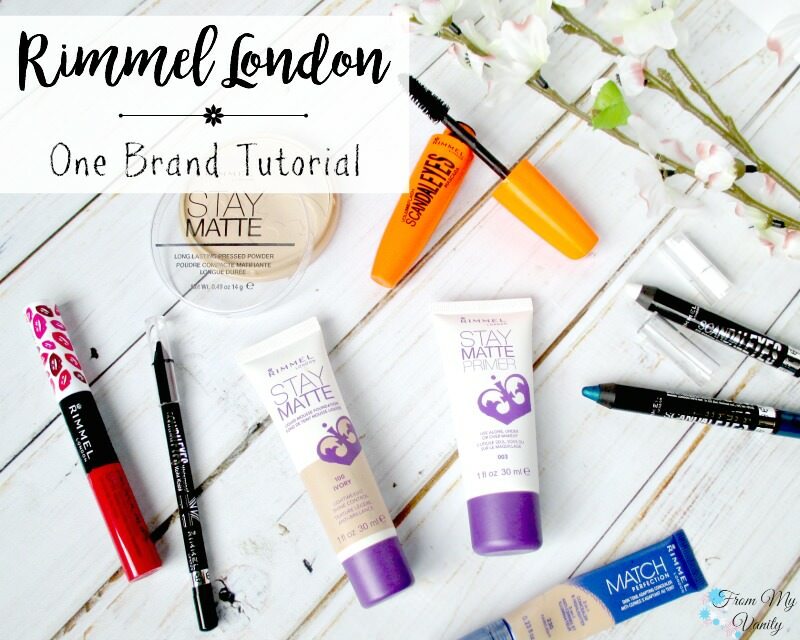 I am back with another one brand tutorial, this time featuring an affordable brand that I love – Rimmel London! Since we are quickly approaching the 4th of July, Independence Day, I thought it would be fun to share a wearable, patriotic face-of-the-day for the festive occasion. As you can see, I am partnering with them on this post. But I enjoy this brand so much I already had most of the products I would need in my collection!